What are the 12 Permaculture Principles after all? Permaculture is men's way of acknowledging the wiseness of Mother Nature. It consists in simulating the natural processes of ecosystems in controlled environments to make the latter self-sustaining. Over the years permaculture has revolutionized how people see, use and interact with nature. It is truly a culture; and features certain ethical aspects which are key to its survival. This ethical base consists of three pillars: earth care, people care and fair share, which form the foundation for permaculture design. A set of 12 permaculture principles has been modeled after these ethics, to help people regulate self-interest and ensure long-term cultural and biological survival. Read on for these 12 permaculture principles that will give you a better understanding of this life philosophy. The first of the permaculture principles promotes a deeper understanding of earth care. Permaculture depends on the understanding you have of your garden and the local conditions. Timberpress.com recommends devoting an entire year to observing your garden and the influence nature has on it. At the end of this year, you will understand the changing microclimates of your patch of land as well as how the wind, weather and slope affect the growth of plants. If you are running low on time, however, a short but thorough assessment of your garden and local conditions will do. Evaluate the intrisic qualities of your land and visit your neighbors' gardens to see what you could grown in your own. Observing and interacting with your surroundings will improve your permaculture design skills. The second of the permaculture principles consists on collecting resources when they are abundant so you can use them when they are unavailable. This can mean building a well-placed greenhouse to keep plants warm and provide passive solar heat for your house and other buidings. But this principle, much like permaculture itself, extends beyond merely catching sunlight. It also entails harvesting rain and greywater for irrigation and canning food that lasts you through winter. Ideally, you will be able to capture water, sunlight, heat, biomass and other resources so you can become more self-reliant. A permaculture garden is more than just a passtime and pretty flowers. It is an edible landscape! Its primary purpose is to provide food for you in an ecologically harmonious way. However, permaculture gardens are not just for yielding crops. At its core, permaculture seeks to change our lives for the better. So yields can also be intangible, like building strong community links through community gardens and team work. Maybe your yield is developing a school garden so your young ones learn to love and value nature early on. Wisdom, enthusiasm, creativity and things like seeds and growing techniques are all yields! The fourth of the permaculture principles entails behaving like your generations, past, future and present are one entity. A continuum. It means cherishing the valuable lessons of your ancestors and evaluating their choices to see how you can improve upon them. It also means planting perennials and enriching the soil, as well as recording your experience with permaculture, so all the future generations can reap and enjoy the fruits of your garden. Finally, accepting feedback is acknowledging everything we have done wrong and remeding our mistakes and those of our ancestors. When alive, fruit trees produce fruits, nuts and seeds, they give shade, and their falling leaves enrich the soil. These trees filter the air and release oxygen, and when they die, their decomposing wood goes back to the soil and their trunks can be the home of animals and plants. This is what permaculture relies on: using renewable resources to make your garden self sustaining. Conserve the properties of your soil by planting perennials or annuals and build ecological infrastructure that allows you to collect energy, water and other resources. One of the core permaculture principles. In a permaculture garden, there is no waste. Everything gets reused and recycled. This saves you tonnes of money and it saves the planet from dealing with your garbage! You can put this permaculture principle to work by engaging in red worm composting. This method uses your organic waste and transforms it in nutrients for your soil. As noted by Timberpress.com, this is a complete life cycle. You grow and harvest your crop, eat it, then put it in the worm bin and it goes back to your plants as a fertilizer. This is a compilation of all the other permaculture principles. First of all, inform yourself before engaging in the permaculture principle. Don't swim in the dark! Secondly, move from the bigger picture inwards, not the opposite. Work on how to make the transition into sustainable living, and then start tweaking the details. Apply all the previous permaculture principles in designing your garden. Nature does not separate plants and neither should you! Placing different plants together helps them grow healthy and in cooperation rather than competition. Your garden is supposed to be greater than the sum of its parts and this is only possible through integration. But the permaculture principles are not only for plants. Humans do not need hard edges set by religion, politics or other cultural elements. Cultural diversity makes for a fertile culture. Putting a bandaid on a serious injury will not stop you from bleeding. Similarly, seeking quick umbrella fixes for your permaculture problems will not make them go away. Your permaculture garden should be comprised of many small parts that work together in harmony. As mentioned in other permaculture principles, planting perennials may be your solution for soil erosion. Furthermore, use small, local solutions instead of industrial ones. Think of community gardens, regional seed libraries and local produce swaps. The folks at Gaias Guardians say that biodiversity creates healthy ecosystems. We believe them and so should you. Placing different plants in close proximity makes your entire garden more resilient to climate change and other ecological challenges, such as pests. So be a smart gardener and incorporate new plants into your garden every year, along with the old ones. This is key to implementing other permaculture principles. Think outside the box and use all the space available! Have fun with the patterns you choose for your garden. For example, you can maximize use of space and edges with mandala and keyhole beds, or use your garden walls to plant vines and heat-loving plants, like beans, grapes and melons. They will provide shade for your home in the summer and let in light during winter. It will also help soften the edge between your house and your garden, if that is what you are aiming for. The last of the permaculture principles, but not least important. In nature, things can change from from season to season. Especially now, with the imminent threat of global warming and climate change, what works for your garden right now may not work next summer. 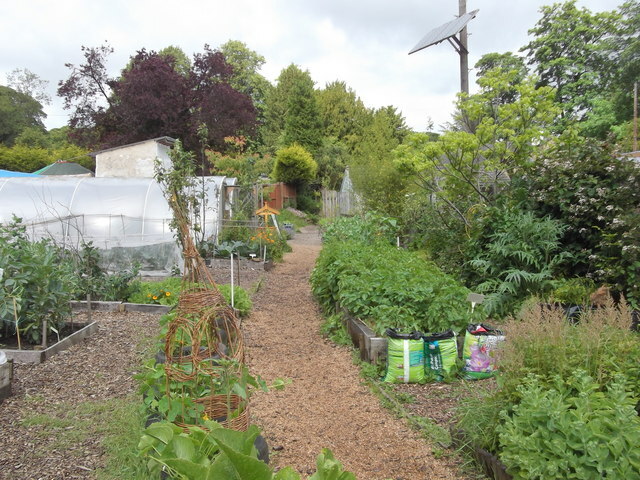 The permaculture gardener must adapt to shifting weather patterns, pests and other external forces and come up with creative solutions. In permaculture, there are no mistakes, only lessons! Check out a great summary of the 12 permaculture principles in the video below!